Keeping Pace with Population Boom. Given all the time in the world, Ardrey Kell High School would have been constructed using conventional cast-in-place and masonry construction. But, with an ever-increasing population, Mecklenburg County needed to open a brand-new high school in less than two years. Offering a simple and high-quality solution, Tindall designed a precast, prestressed concrete framing system that saved time and delivered both short- and long-term cost benefits. With a total construction schedule of 26 months, Tindall had a serious challenge on their hands. From design to erection, Tindall delivered the 258,000-square-foot superstructure significantly faster than expected, shaving six months off the overall construction schedule and saving the client money. The fast completion of this project allowed the new facility to relieve area classroom overcrowding in time for the next school year. The stunning design of this construction sets the look for 21st-century schools with sandblasted architectural concrete, steel, and glass accents. Tindall eliminated columns in classrooms and common areas with long spans, and created an auditorium with precast risers and walls for an attractive assembly area. 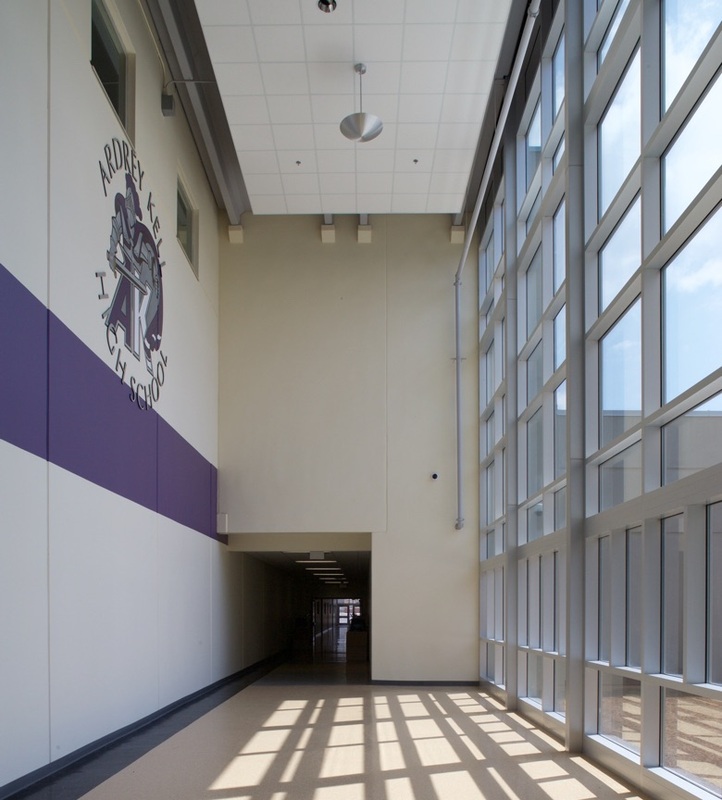 Overall, the school required 1,732 precast pieces, and achieved R-19 insulating value by incorporating four inches of extruded polystyrene into the 10.5-inch-thick, load-bearing wall panels. The interior corridor walls support the roof and the upper level classrooms, with the span provided by 20-inch-deep double tees in both cases. Though the schedule was tight, no detail was overlooked in the construction of this aesthetically pleasing school.